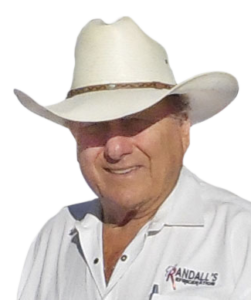 Welcome to Randall’s Climate Control Air Conditioning Repair and Heating Tips, Tricks, & News Blog. Thank you for taking the time to stop by. Here you can read our most recent posts or explore our archives for the best ideas on how it is that you can maximize your home’s energy to make it as efficient as possible, saving you money! We will give you secrets and tips on how you can make your home more comfortable and help give you all the info that you need to extend the life of your HVAC unit. You will also be able to learn about the latest trends and many of the new technologies in the air conditioning and heating repair industry. According to the Department of Energy, more than half of the energy your home uses is from your heating and cooling methods, making this the largest energy expense for your home. But with the correct know-how, you can stretch those energy dollars and take care of some of the routine maintenance yourself. And with the new HVAC efficiency systems & standards constantly emerging, it is crucial that you stay up to date on all of the current opportunities in making cost-effective upgrades. Make sure you bookmark our blog and continue to check back regularly so you can get the greatest benefit on saving money, prolonging the life of your HVAC system, and making the most comfortable home for you and your loved ones! If you need service right away, call 281-357-0820 or schedule a service call here! WELCOME TO THE BLOG ~ YOUR ONE STOP FOR HVAC TIPS & TRICKS!